Michelle C. Kendall is the founder and creator of MinutesWithMe.com. She studied Elementary Education and Recreational Therapy at Brigham Young University. Over the last 25 years, Michelle has been involved with teaching children in public and private schools as well as in community and church environments. Michelle is the proud mother of four children and has been married to her supportive husband for 25 years. She lives with her family in Highland, Utah. 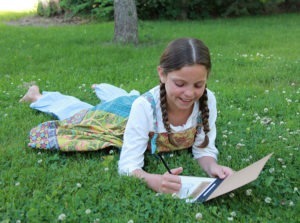 Michelle’s parenting mantra is “learning is all around you.” See her contributions to the Little House on the Prairie website below. See the world Laura lived in by visiting these historic Little House sites. Learn more about Laura and pick up your DVD on Amazon.